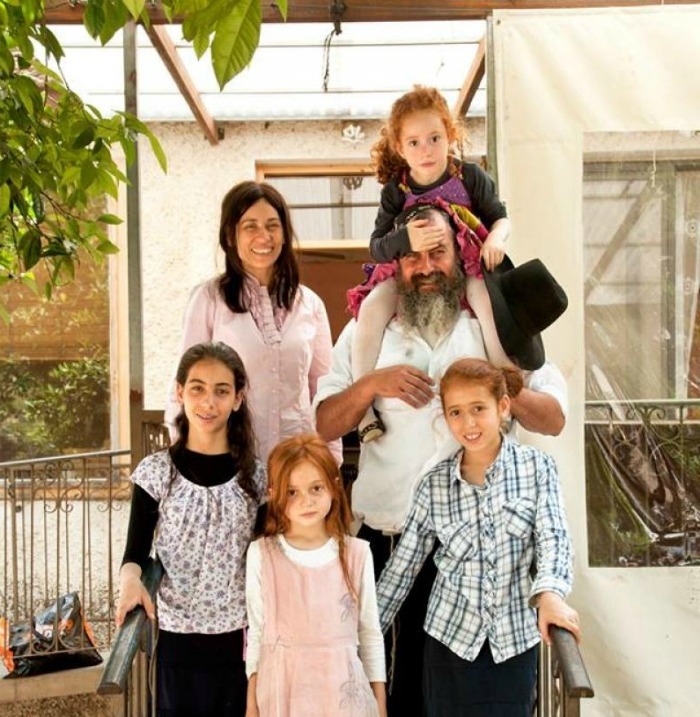 Einav and Anat Vaspi, Lubavitch baalei teshuva living in Northern Israel, have suffered through two terrible tragedies. Two years ago their year-old daughter, Menucha Rachel, suddenly passed away in a freak drowning accident. And before that, their car was hit after a driver lost control of his bus, and their daughter Sheina had to have a leg amputated. Despite the hardships they have endured, the Vaspis are known in their diverse community for their constant acts of kindness and tremendous hospitality. “Our activity gives us strength,” the couple told a reporter from Channel 10. 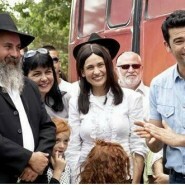 This month, the producers of the Israeli version of “Extreme Makeover: Home Edition” chose the Vaspis’ run-down home for a total makeover. “This family contributes to the community every day and this was our chance to give back to them with whole hearts,” explained the show’s host. The Vaspis in front of their old home with their 4 daughters. “Seeking inspiration and understanding of the Chassidic lifestyle, interior designers Michael Azulay and Gat Namir-Choter-Yishai traveled to the central Israeli village of Kfar Chabad where they toured the replica of 770 Eastern Parkway, Lubavitch Headquarters in Brooklyn, NY. What a touching story, especially in these days before Tisha B’Av. To see this idealistic religious family that does so much to help Jews of all kinds being presented such a generous gift from these secular Jews who show so much sensitivity and respect to their religious lifestyle…. To see the hatred and suspicion that often plagues the relationship between secular and religious Jews replaced by mutual love and respect…makes me think that maybe the next project of Extreme Makeover could be on the Temple Mount? WOW! Very moving! So beautiful to see the outpouring of love for the Vaspis by their community. Most inspiring for me is seeing/hearing Anat’s reaction on the video – what a remarkable woman she must be! I don’t think I’ve cried this hard in a long time – it was incredibly moving and inspiring to see the effort these makeover people put in to making them the most beautiful house possible. can someone translate what the mother said about the two year old child who was in a accident?